Thank you for considering PVP DIGITAL to capture your special memories. 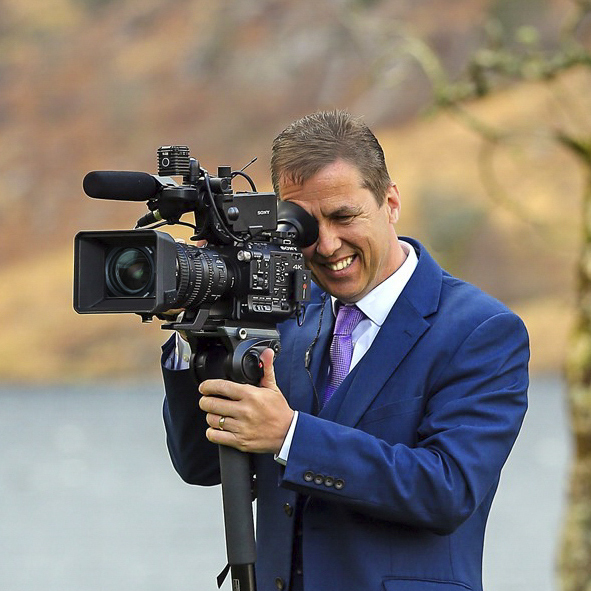 We are a Multi-Award Winning Wedding film maker and we love filming real life moments… The hugs, the handshakes, the laughter and the tears are what make us who we are. Filming these special moments ensure that these precious memories are preserved in our time and even for the next generation. Your Wedding is one of those special days which goes all too fast. Couples always say 'The day went too fast... We didn't get to take it all in' and 'The whole day is just a blur we missed so much...' But not only do I capture what you missed I also save your memories - not just for now but for the future so you can look back, reminisce and see how times have changed. Life moves fast and things generally happen in a moment. I enjoy filming those moments along with the before and after where I can tell the full story as it happens. I get the smile as it becomes a smile, I get that twinkle in your eye as you say ‘I do’. I capture your day concentrating on all the natural shots and those special moments which only come once. This allows me to tell your true wedding story. Over the years we have been at the cutting edge of professional wedding videography. 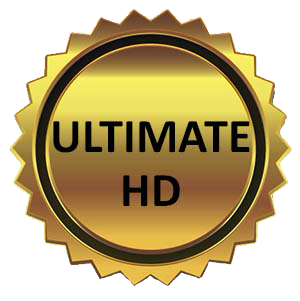 First to introduce HD on Blu-ray in 2008 and now offering UHD 4K wedding productions. We have successfully produced years of wedding DVD and HD entertainment for married couples and their families to cherish forever. This is what makes us a clear ‘1st Choice’ for all our happy couples. A Member of Wedding Professionals. For over 15 years PVP Wedding Films has been at the cutting edge of the latest technology. We quickly embraced High Definition before it was even released and we have progressed to 4K and Cine film productions in recent years. Using only the latest HD & 4K Cinema camera and lenses we offer an advanced filming and editing style to provide a high-end wedding film service and production for you to treasure forever. We film your day with a 'natural approach' so we just go with the flow, soaking up the joy and atmosphere on the day. This way we keep everything real which allows us to documents the true story of your wedding . We save your memories HD Blu-ray disc, USB and Online options to last a lifetime because like your wedding album your wedding film is yours forever. But why is your Wedding Film so important, well we capture all those moments you miss, we preserve those special memories to last far into the future, even for the next generation to enjoy. We all like to look back in time and see how life has changed over the years. Every wedding is filmed with at least two cameras. This allows us to focus on the main key moments while still able to film wide angle, background and reaction shots. 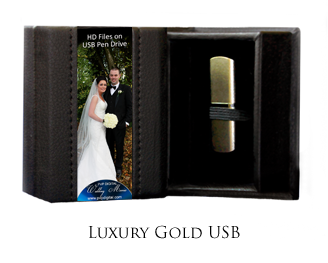 Future proof your wedding film with our solid state usb drives. Compatible with smart tv's and a secure backup of your priceless memories. We also offer Aerial filming with our 4K Drone for scenic location shots and our very own 'Car-Cam' for on route road trip filming for that extra dimension to your film. When you choose a professional, registered and fully insured company you expect the best. Our reputation is one of excellence and we always deliver the finest Picture Quality, Colour Reproduction and clear Digital 5.1 surround sound. Richard & Jean said - 'We couldn't be happier... You were very professional and a pleasure to deal with on the day... I have to say we both think this was the Best Money we spent on the wedding'. You have the freedom to customise your requirement to suit you. Our Entry Package, basic coverage on HD USB only. Filmed in FHD with Blu-ray or HD USB Drive, Premium coverage. With Advanced filming, Editing & Color Grading, comprehensive coverage. 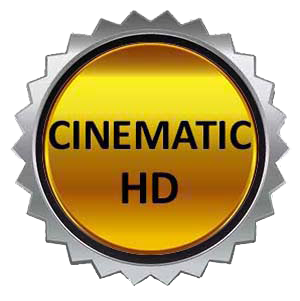 High-end Cine sytle filming & editing in HD or UHD 4K. Our New Packages offer you a choice of packages to suit any budget. You recieve the very best in HD Blu-ray and HD/4K USB Options. We have noticed a decline in demand for DVD so we prefer to offer HD Blu-ray & USB (DVD is still available on request). Our ‘NEWEST’ and basic HD Package covers from ceremony to first dance up to 10pm sharp. This is a shortened wedding film with only the Essential shots of the ceremony (procession, lighting the candle, readings, vows & signing) and throughout the day we includes casual scenes, bridal party scenes, the reception, speeches and first dance. Filmed with 2 cameras. *HD Luxury USB Drive Only. This ‘very popular’ HD package offers more coverage than the Essential with 'optional' Brides morning preparations (subject to location). With coverage up to the first dance up to 10pm. Coverage from Groom, groomsmen & guests arrival, the ceremony, signing, meet & greet, family groups, bridal party shoot, the reception, speeches, cutting the cake and first dance plus three extra dances. Includes Multi-camera filming with 2 or more cameras, Our Photo Story Montage, ‘NEW Disc’ Menu and Scene Selection on Blu-ray. *Delivered on 2 HD Blu-ray discs 'or' HD Luxury USB Drive. 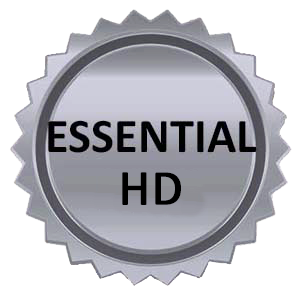 This ‘FULL HD’ package is full of features and includes full coverage from Bridal preparations (subject to location) to First few Dances to 10:30pm. Advanced HD filming and HD editing with blurs, Slow-motion, color grading, black & white clips and much more. Multi-camera filming with 2 or more cameras, New HD Menu System, two Extra Films - Our New Photo Story Montage & Our Memory Highlight’s (Online Highlights also available). *Delivered on 2 HD Blu-ray discs and Includes HD USB Drive. Online delivery option also available. 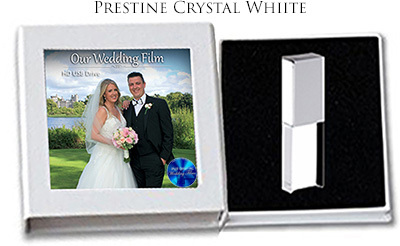 Cinematic HD *Includes 2 Blu-ray HD Discs & HD Crystal or Luxury USB Drive. Cinematic 4K: *Includes 2 Blu-ray HD Discs & UHD 4K on Crystal or Luxury USB Drive. (At your reception we show an 8-10 minute highlight preview of your precious wedding moments via HD Projector and Screen). Dear Michael, On behalf of Rich and I we would both like to sincerely thank you for doing an amazing job with the videography at our wedding. We couldn't be happier with the result and absolutely love the DVD. You were very professional and a pleaseure to deal with on the day. Lots of our guests commented on how nice you were too. I have to say we both think this was the Best money we spent on the wedding. I would certainly recommend you to any couple who are getting married in the future and would nearly say "this is a MUST for your wedding day." Thanks again for making our day so special. Dear Michael,Thank you very much for creating such a beautiful momento of our wedding day. You captured the most important moments of our day perfectly, and we will treasure our DVD forever. Our Wedding Highlights Presentation was fantastic and very popular with our guests on our wedding night. We really appreciated you having our wedding DVD ready so promptly after we returned from our honeymoon too. Thanks also for your professionalism and your pleasant manner on our wedding day and throughout our dealings with you. We highly recommend your services! We offer a no obligation consultation at our office so we can sit down and chat over everything! Toureen Croom County Limerick. Ireland. GENERAL DATA PROTECTION REGULATION (GDPR) 25th May, 2018. Under the new GDPR General Data Protection Regulation which comes into force from 25th May 2018 we are required to inform you how we store and use your personal information. All personal information collected by PVP Digital is only for the purpose of replying to your enquiry, confirming your booking and for filming and editing your wedding film. The information you provide to us is only for our own use and we never share your information with any third party. We only collect the basic contact information on our 'contact us' form. Name, email address, contact number, wedding date and Location and your message. This information allows us to check availability for your date and location. We do not share this information with any third party as it is only provided to assist us in replying to your enquiry. We keep this information on file in the event you make contact in the future to allow us to follow up on your original enquiry. You can at any time request in writing for your information to be deleted securely from our records. If you choose to book PVP Digital we require a completed booking form and information sheet. The booking form is necessary to ensure we have all the relevant information about your wedding to help us plan in advance of filming your wedding. The booking form is also our contract of which the terms are setout within. 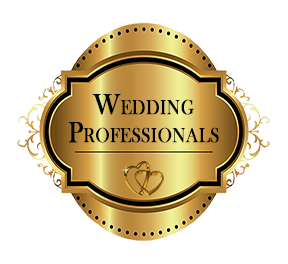 The information sheet provides us with details of other persons (the wedding party, suppliers and others) performing certain tasks. This information is only for the purpose of creating a credit role on your wedding film to give credit to those who participated in any way. We do not share these forms or the information contained within with any third party. You can at any time request in writing for your information to be deleted securely from our records. After filming your wedding we store the footage on our main editing workstation and create data backups on two alternative drives. When the editing is complete we provide you with delivery methods as per your chosen package. The original footage and any imagery motion or still remaind the property of PVP Digital under copyright law. We keep the original footage on our backup drive for a period not more than six months after your wedding for backup purpose only. We keep a copy of the finished wedding indefinitely (only on HD Blu-ray disc format), this is only to provide you with a secure backup should you require a copy in the future. Your finished wedding film is never sold, shared or distributed with any third party. We do not post your wedding film on social media unless requested by you in writing. However we will ask your permission if we wish to share a short highlight film on our website or on social media as this is how future customers can view samples of our work. You can at any stage even after giving permission, to request in writing the removal of any online material if you wish. The DVD format used is DVD+/-R Single & Dual layer Discs which are compatible with 98% of DVD Players. The Blu-ray Format is BD-R. A Blu-ray player or Playstation console is required to play HD Blu-ray discs. A smart TV or computer with a USB Connection is required to play wedding films from our USB Drive. Online delivery in part or full is subject to the online providers terms and conditions and may be subject to an annual hosting subscription for certain platforms. A non-refundable booking deposit is required to book PVP Digital along with a completed and signed booking form. The balance is due in full in advance of or on your wedding day. Please note your date is not secured without both the completed booking form and the requried booking deposit. when you book PVP Digital we reserve your date and turn down all other work and bookings to ensure our availability for the date you have booked. Therefore in the event of a cancelation a €250 cancellation fee applies. If you cancel within 10 weeks of your wedding date the cancellation fee is 50% of the balance. If you cancel within 4 weeks of your wedding date the full balance is due. However if the cancellation is due to rescheduled booking and you rebook PVP Digital for your new date we will honour your deposit if rescheduled within 12 months and subject to our availability. In the event of a second cancellations by the client the cancelation policy will apply regardless. Aerial Filming is subject to weather,GPS, safety and IAA regulations. Therefore, we have a 'No Fly - No charge' Policy when booked for Aerial filming. While the client is allowed to specify the background music this may be subject to copyright. PVP Digital retains full editorial control on every aspect of post-production. While we use professional equipment during filming and producing your video we cannot be responsible for loss of audio or video as a result of mechanical or electronic malfunction, theft, Illness, weather, acts of God or any unforeseen circumstances beyond our control. The original footage raw or compressed and all imagery (motion or still) captured by PVP Digital remain the property of PVP Digital under copyright law. Any copying or reproduction in part or full is prohibited.